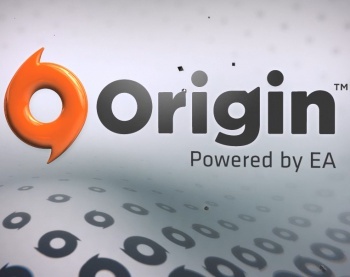 EA's digital distribution service Origin has a new update available which should be particularly enticing for those of you using powerful gaming machines. Okay, so EA's Origin service hasn't quite panned out like the mega-publisher initially hoped. "It's going to beat Steam at its own game!" said absolutely no one, yet that's always ostensibly been the project's goal: To deliver an EA-centric gaming experience on par with, or better than what Valve's service can offer. EA's still got a long ways to go, but it's taking steps in the right direction. After downloading this update, you'll notice that we've revamped the look and feel of the Application Settings menu. For PC users, if you've been broadcasting your gameplay, you'll appreciate the new ability to auto-archive your broadcasts. For you power gamers with muscular 64-bit systems on either PC or Mac, the new multilauncher will give you additional options for taking advantage of your hardware when starting up supported games. Finally, you can now keep track of all the achievements you've completed in Battlefield 3, Mass Effect 3, and Dead Space 3 on your Origin profile page. Start playing those games after updating Origin, and watch your Origin Point total (displayed underneath your name) increase by completing their achievements. Gameplay recordings, improved 64-bit compatibility, and title-agnostic rewards points for three major titles. That's something, right? Granted, this should be a big boon for those Battlefield 3 players who shelled out good cash to run the game with all of its shiny bits turned up to maximum, but beyond that there isn't a whole lot to be excited about. Origin is improving, but it's a very slow process. As always, those of you wishing to sign up for Origin can do so free of charge on EA's site. This update is free as well, so if these minor, wildly specific improvements blow your skirt up, you're welcome to them.